Award-winning Canadian-Israeli novelist Edeet Ravel dishes up an intriguing psychological thriller in this young adult novel about an American teen who is kidnapped during a summer stay in Greece. Blindfolded, disguised, and drugged, Chloe is flown to an unknown location and imprisoned in an abandoned warehouse. In solitary confinement, punctuated only by the less-than-daily visits of her nameless captor, the teenager’s emotional stability is undermined by what he insists is Stockholm syndrome, a condition that leads hostages to develop positive feelings for their abductors. Coverage of Chloe’s disappearance in the American press lends credence to her captor’s claim that her abduction is intended to secure legal retrials for friends convicted of terrorism by a bigoted prosecutor’s unethical methods. The Free Chloe Campaign, created on Facebook by Chloe’s best friend, hires lawyers to represent the imprisoned men and its success in court parallels Chloe’s growing attachment to her jailer. Chloe’s abductor insists that her love for him is a captivity-induced mirage and uncertainty about whose version of reality is accurate challenges readers’ tendency to trust first-person narrators such as Chloe. It is unclear whether she is the victim of a well-intentioned man driven to a desperate act or the prey of a sophisticated sexual predator. Although the book denies readers satisfying emotional closure, the questions it raises about the conflict between reality and perception are a meaningful substitute. 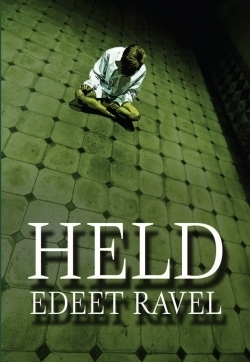 Edeet Ravel has also written the acclaimed Tel Aviv trilogy for adults, as well as the Pauline series and The Saver for middle readers.